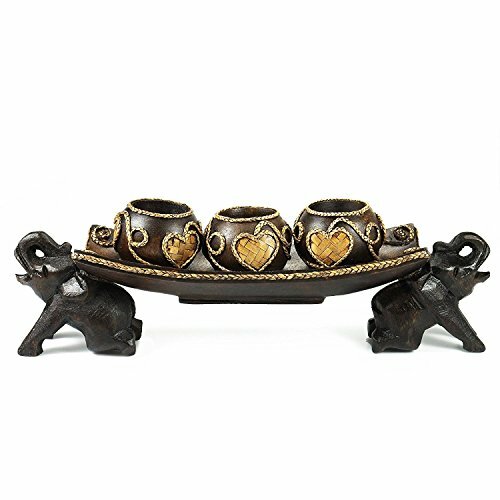 Wooden candle holder useful for candle sticks, candle holders, home decor, home accessory. Elegant design will make your house boutique or cafe more beautiful. If you have house, boutique or cafe this elegant designed wooden candle holder will make these places more beautiful. Wood material is really strong and beautiful. -Elegant design will make your house boutique or cafe more beautiful. -Wood material is really strong and beautiful. If you have any questions about this product by M.E.R.A., contact us by completing and submitting the form below. If you are looking for a specif part number, please include it with your message. Thai Decor Golden Brushed Vintage Candle Lantern with Flickering Flameless Led Plastic Lantern Battery included Indoor & Outdoor.